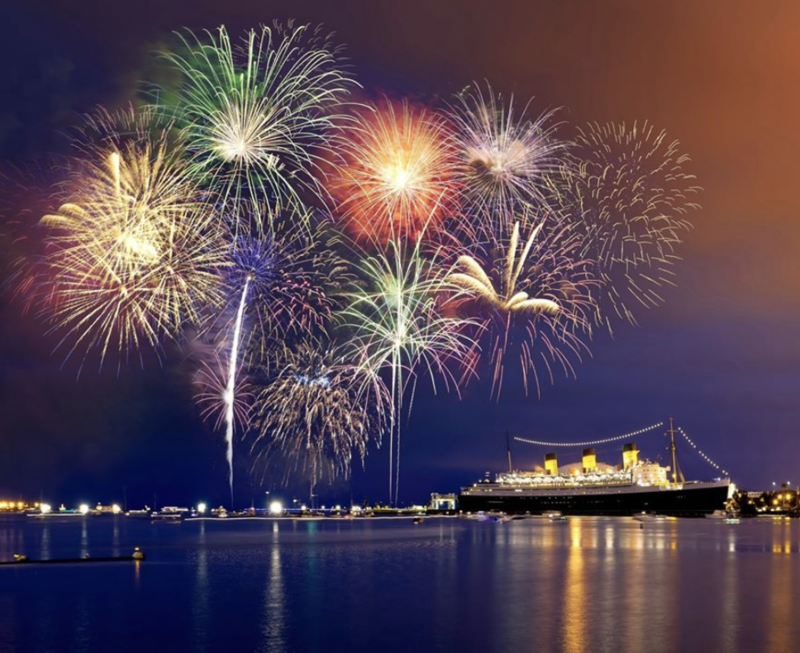 This will be my fourteenth 4th of July in Los Angeles (where did the time go) and I’ve always wanted to ring in the holiday in the most patriotic place I can think of nearby- The Queen Mary- docked in Long Beach, California. While this was my first time on the ship for the 4th festivities, I’ve visited the Queen Mary several times for their events including Dark Harbor (don’t miss out on a good scare this October, plus the ship is rumored to be haunted,) Queen Mary CHILL (don’t skip the iceskating) Bacon Fest (go very hungry) and more. 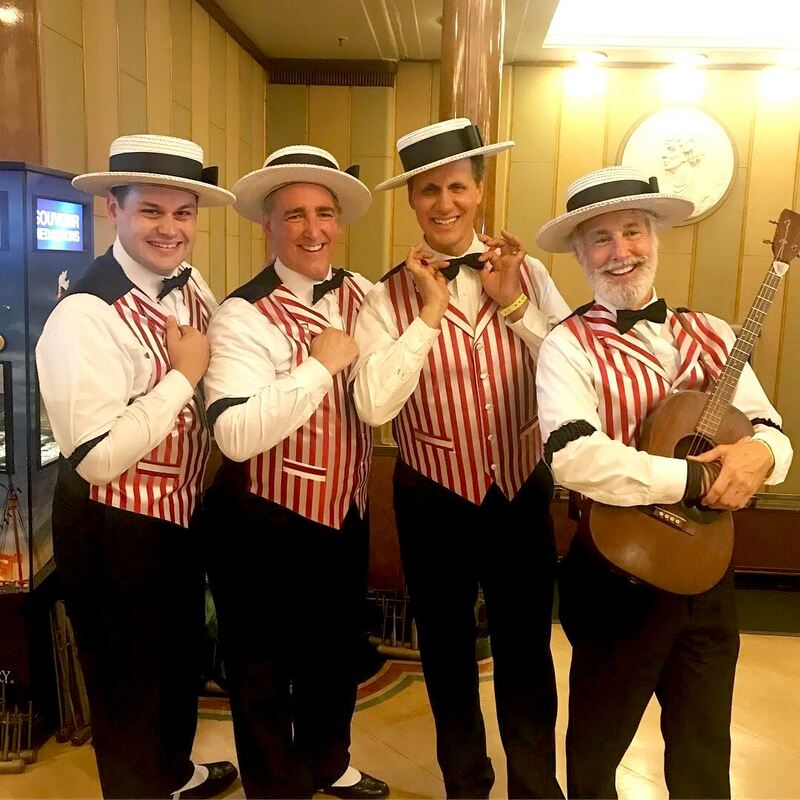 Upon arriving at the Queen Mary with my guest- my boyfriend was the lucky one this time- we were greeted by the Barbershop Quartet who were singing in the main hall and really set the tone for a day of red, white, and blue fun! 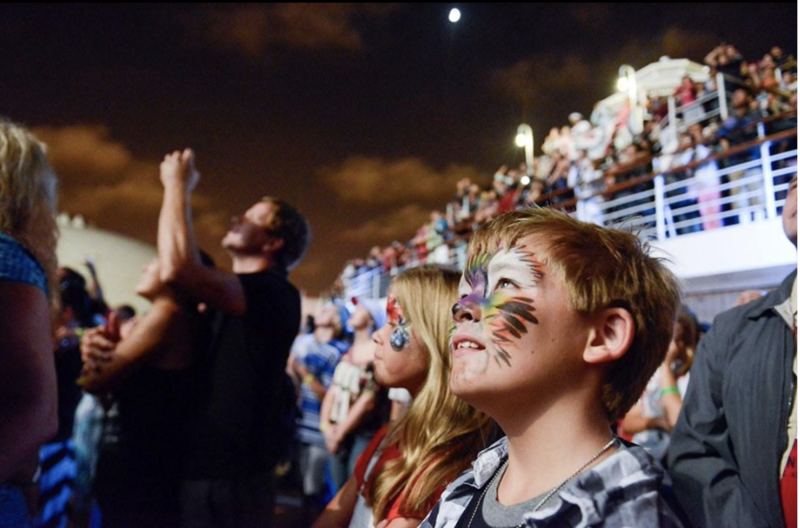 After listening to a tune or two, we headed up to the Sports Deck to check out the carnival games where families were lost in competitive delight over the potato sack race, ballon toss, face painting and more. The carnival area featured some big top entertainment including an aerialist and a hula-hooper. We even played a few games and won a stuffed prize for my dog, who I knew would appreciate it after hiding from the fireworks when I returned home. Next stop was the Promenade Deck for Rock Hero Karaoke followed by Blazing Pianos (dueling pianos) which made for some amazing people watching and sing-along opportunities. 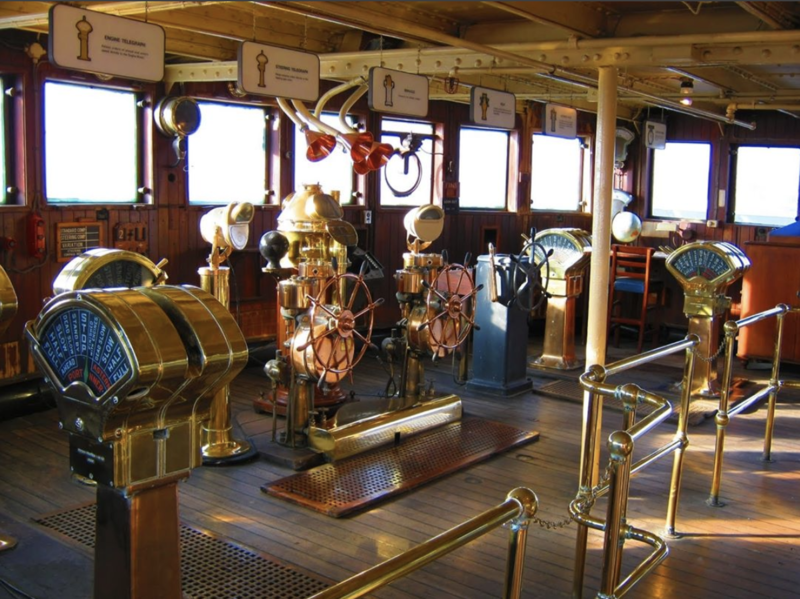 On the way, we made a pitstop on the main deck to snap some “grammable” moments during golden hour. The view was breathtaking! 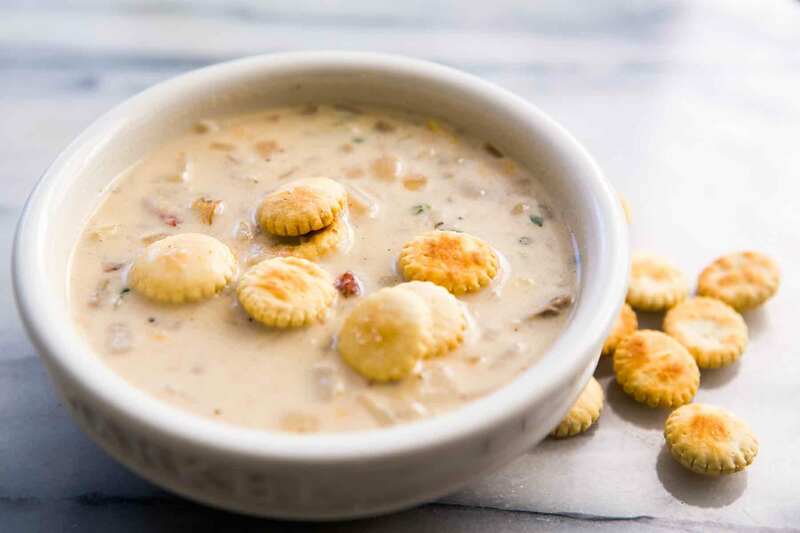 By this time, we were getting hungry so we decided to stop in the Chelsea Chowder House for their signature New England clam chowder which rivaled chowder I’ve had in Rhode Island and Boston, their avocado aioli fries, and a caesar salad. The meal hit the spot! Then we were off to check out the captain’s station, the display of miniature ships, and finally to dance to DMS (a Journey cover band) as we waited for the main event- the fireworks! Let me just say that there’s nothing like the feeling of shouting along to Journey’s “Don’t Stop Believing” right before the most magical fireworks burst into air. Needless to say, the fireworks did not disappoint. In LA, I’ve watched fireworks from the Santa Monica pier, the sand of Venice beach, the garage rooftop at The Grove, Mulholland Boulevard overlooking the Hollywood Bowl, and from (my front-runner) the CBS Radford Studio Lot. This topped them ALL! The harbor was filled with personal boats and ferries that were awaiting the display from The Queen Mary. The ship itself was lined with families, couples, and friends of all ages all their to celebrate our nation’s Independence. Even during at time where our own country has been more divided than ever, it was nice to see all the attendees put aside their politics and enjoy a day in the sun and an evening under the glow of lights. 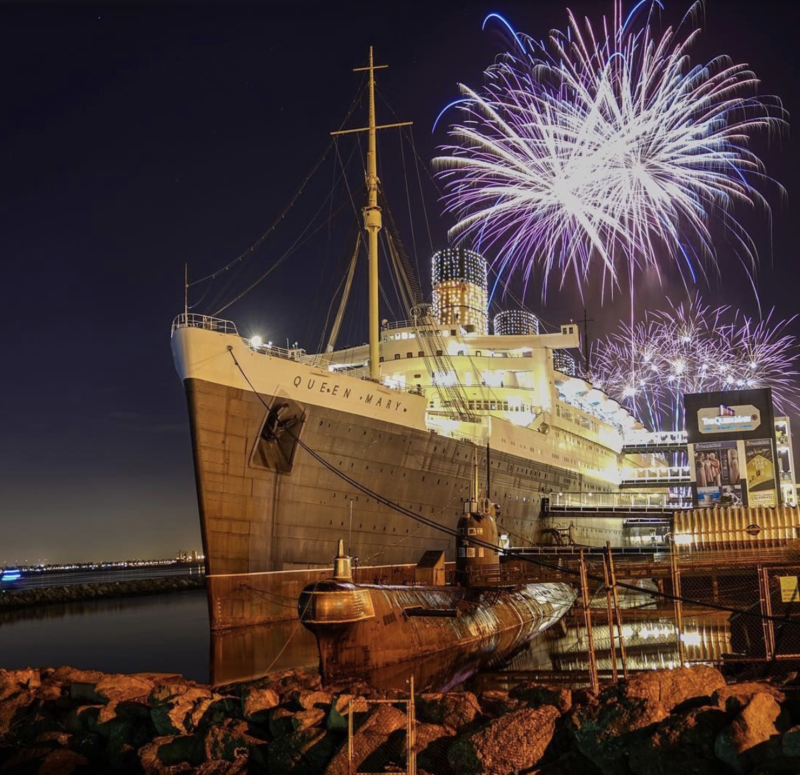 Book your next visit to The Queen Mary.